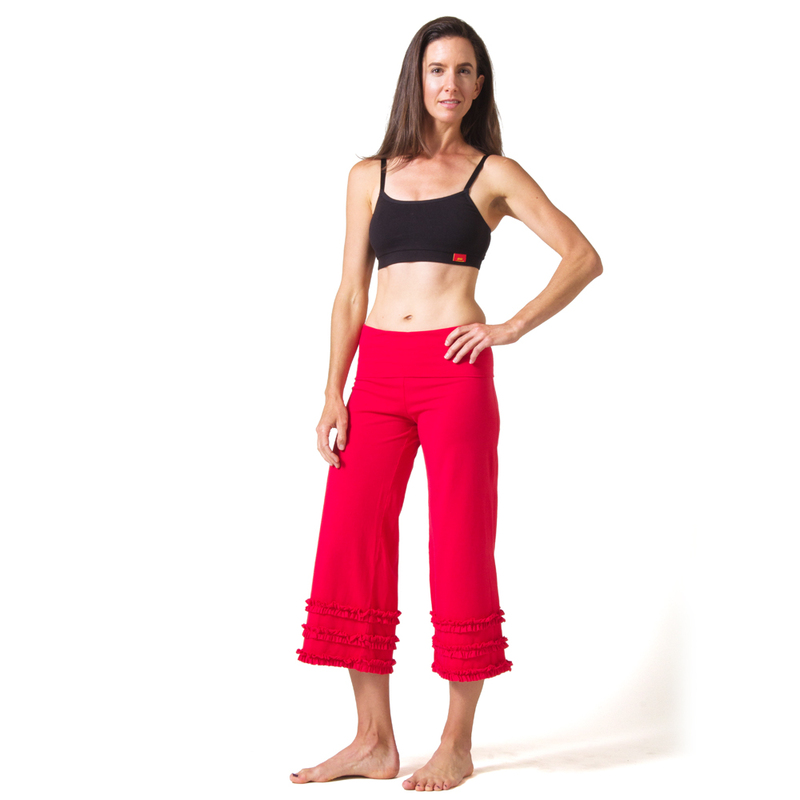 Beckons Organic's best selling yoga capris! 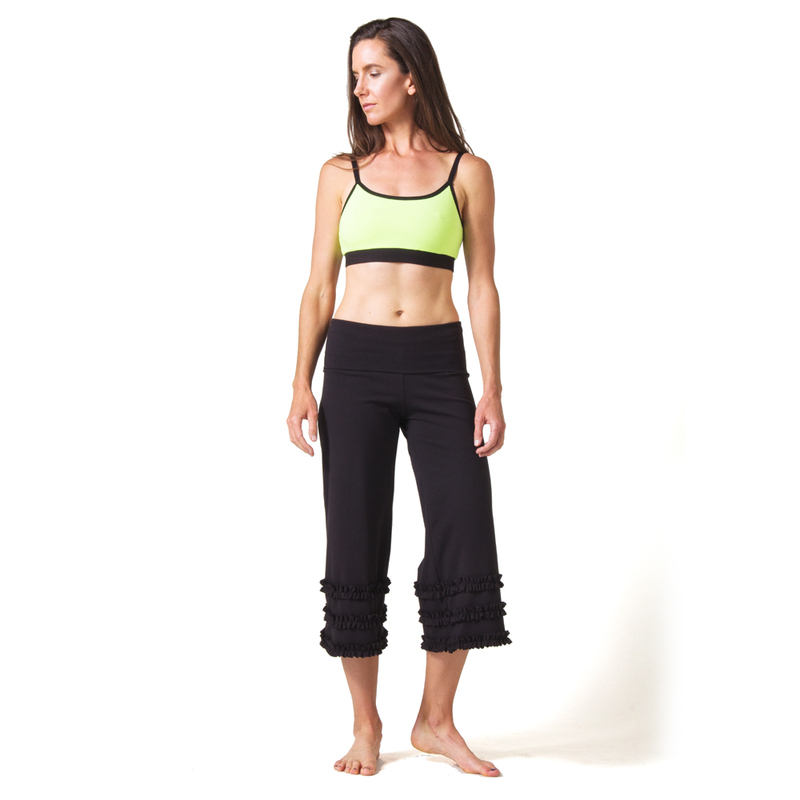 Super comfortable and feminine, these fold-over ruffled yoga capris are perfect for yoga, pilates, lounging or wearing all day. They feature a roll-down waist that can be adjusted to sit any place on your waist or below; three playful ruffles along the bottom of each leg, and a 21” inseam. Pair these with some great boots and they are a perfect and comfortable addition to a professional wardrobe. Fabric: 92% Organic Cotton, 8% Lycra; 21" inseam.